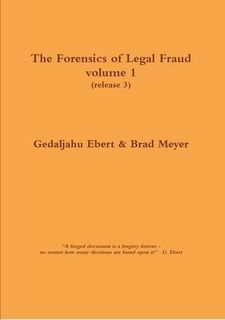 The Forensics of Legal Fraud – on the Unscrupulousness of White Collar Criminals is now on Lulu! Here you can buy what Paulette and I have been working on during the past few weeks. It’s the result of real life experiences. And it’s the commitment to a cause that is an expression of our time: the Zeitgeist (spirit of the time) of challenges. white collar criminals getting away with murder. May it make some difference to some readers, whether concerned as victim or as perpetrator! Here you can read it online and download your own copy if you like. Volume 1, based on the experiences of Mr Ebert, is available as book here and as pdf file here. And here is an online petition targeted at The Rt Hon Lord Chancellor, the Business Minister and the Justice Select Committee: Public Inquiry into White Collar Crimes. After barely 24 hours more than 400 page views already! Brace yourself! You might get hit or targeted, too! The Secrecy of Family Courts should be lifted NOW!